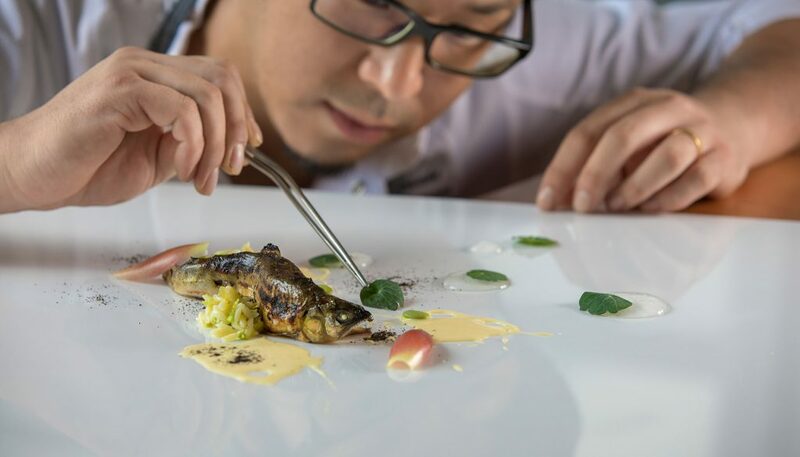 If you listen attentively to chef Yohhei Sasaki, you’ll find that the Japanese chef delivers a stronger Italian accent than his native accent. 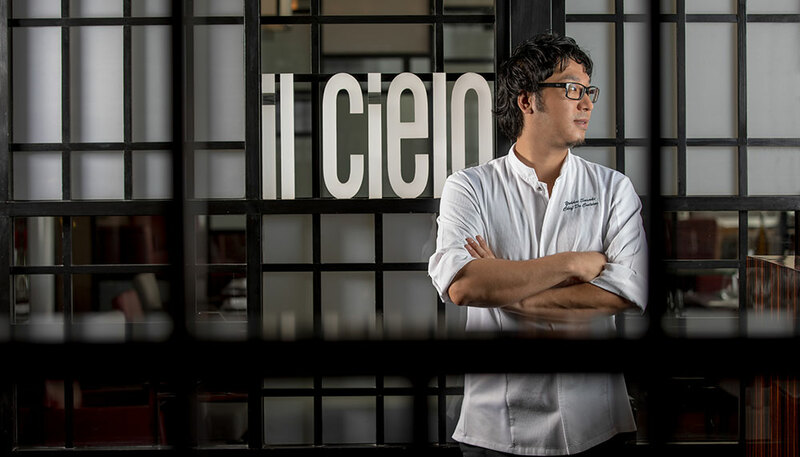 The chef de cuisine of il Cielo at Hilton Singapore also lets in that his circle of friends includes more Italians than Japanese. 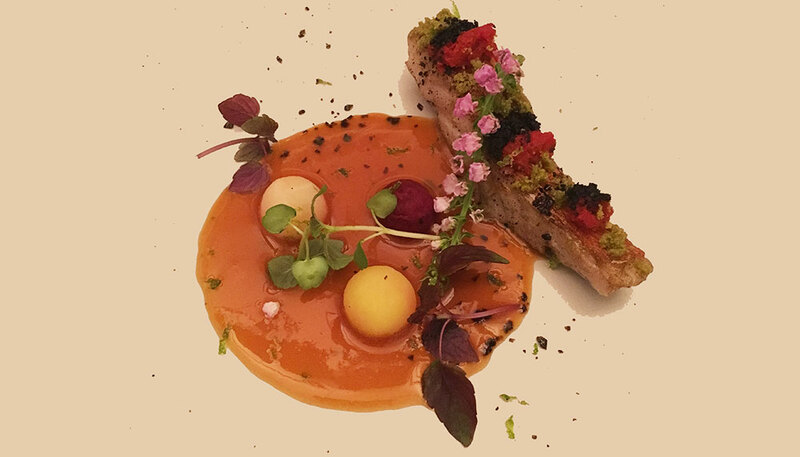 Chef Sasaki’s love for all things Italian is unmistakable — and he does a beautiful job fusing Italian cuisine with flavours from his hometown in Tokyo. 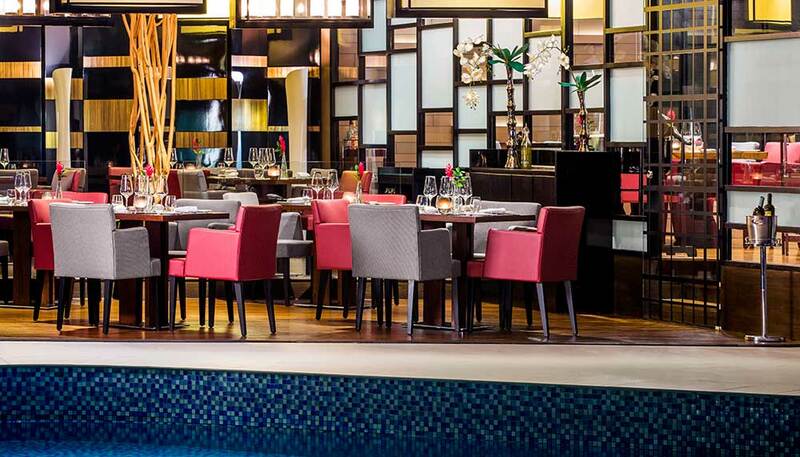 But recently, chef Sasaki is showing more love for the land of the rising sun, reflected in Il Cielo’s newly launched omakase dining experience. Here’s how it works: upon confirming your reservation at il Cielo, you are invited to suggest a particular ingredient or even a special memory that’ll see chef Sasaki working around to create your meal. The idea is to make a dining experience feel more personal and intimate, and guests can throw chef Sasaki questions about anything and everything to do with their meal — what goes into the food, what makes the ingredients work, or what kind of wine pairs best with a particular dish. Unfortunately, I didn’t get to pick an ingredient for chef Sasaki at a recent tasting, and neither did my dining companions. But we had the opportunity to tuck into a six-course menu that portrayed chef Sasaki’s best interpretation of omakase. These three dishes stood out the most. You may not be able to appreciate the strong briny smell of this dish, but flavour wise, chef Sasaki definitely hit all the spots. As the name suggests, ingredients all come from the sea: Hokkaido sea urchin, Sakura ebi, Asari clam and seaweed all beautifully simmered in dashi. The sea urchin was as creamy as you’d imagine and the clams had a rich, slightly salty bite. I enjoyed the harmonious compendium of flavours here — something I didn’t see coming when I had a first whiff. 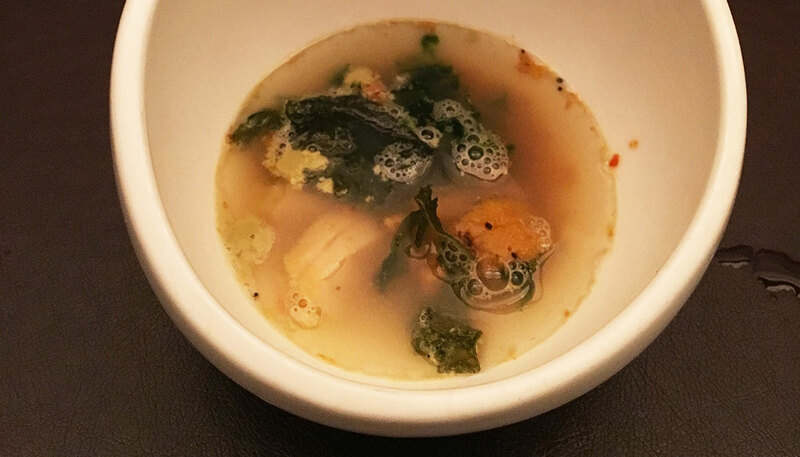 While the soup felt more like Japanese fare, chef Sasaki channelled his Italian flair with Homemade Chittara alla Napoletano. 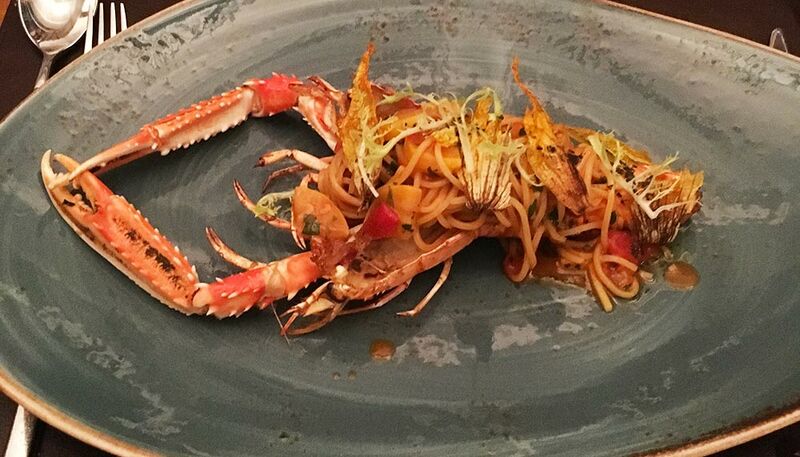 Fresh Al dente spaghetti is tossed with scampi juice, Napoletana sauce and flower zucchini, and plated on a palm-size scampi. The tomatoes in this dish took a back seat — the Napoletana sauce was delicately light, allowing the flavour of the scampi juice to really shine through. The scampi was chewy and tasty, without a hint of being overcooked. The kinmedai fish is lauded for its rich umami flavour, and chef Sasaki did a pan fried version of it. The fish was moist, crisp, topped with complementing basil and olive crumble. I found the fish gratifying on its own, but in this case, more is indeed more — an accompanying sweet seafood-based sauce paired with yuzu pepper, dried tomatoes and beetroot added that extra tangy kick to the dish.